Ok, you are in a search of the best electric shaver? Well, actually this is impossible to find. Just because the best electric razor doesn’t exist, as well as multi-purpose footwear that would fit anyone. You should select it to meet your personal requirements: stubble coarseness and density, your age and skin sensitivity. Our current review is aimed to help you make your choice easy and well-founded. What electric shaver models and types are presented on the market? Which electric razor is better — foil or rotary one? Electric shaver manufacturers – who are they? How to choose among all these companies? Which is better – wet or dry shaving? What additional functions can electric shavers offer? Which of them are worth their money? As well as some advice about how to get maximally perfect result when using an electric shaver without getting any skin irritation or burn from your razor. Review of the leading electric razor models including pros and cons for each of them. If you just look through the review, you’ll see that general rating of each model doesn’t vary greatly. This is explained by the fact that quite a lot of models are equipped the same and they differ just in small details. Moreover, we still haven’t found the best and ideal one. We have represented both cheap and premium-class electric shavers in our review. Some of them can be used by adults and some, for example, can be presented to a teen as a first electric shaver. In our review there are devices produced by three manufacturers which are actually the leading ones on the market nowadays. These are Braun, Panasonic, Philips (there are also some other companies on the market but their contribution to the total sales is rather insufficient). We have taken a close look both at the technologies used in the reviewed electric shaver models and their serviceability and safety. 4 Which electric shaver model to choose? 5 What’s the difference? What makes all these electric shaver models differ from each other? Let’s go through the most attractive ones according to the reviewer’s subjective opinion. 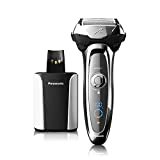 Panasonic ES-LV95-S Arc5 – a perfect combination of implemented technologies, quality shaving, attractive appearance, serviceability and reasonable price considering all above mentioned. Braun Series 9 9095cc is the second best in the review – it shaves well, takes up little space, it has SyncroSonic automatic control of the motor intensity depending on the stubble coarseness. The motor provides up to 10 thousand micro-vibrations and 40 thousand cutting actions in one minute which ensures high quality shaving even in case of coarse stubble. Philips Norelco 1150X/40 Shaver 6100 takes the leading position among the rotary electric shavers. It isn’t way better than the other rotary razors in our review as for the shaving technologies implemented and it’s been one of the top 5 best sellers for a long time through the variety of internet stores and it has quite a moderate price. 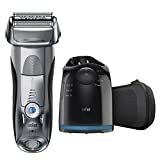 Philips Norelco Electric Shaver 9700 is the second best here due to its multitasking, 3 replacement heads that move in 8 directions and perfect shaving quality. But the obstacle here is its price that not everyone can afford. Let’s mention that quite a lot of users can’t even see the difference between rotary and foil shaving at all. As for those who can feel the difference – still they rest on their subjective opinion. The same is about their price difference. For example, someone prefers shaving only with a premium-class electric shaver that is equipped with all possible technological innovations and someone is quite satisfied with a moderate priced classical model. 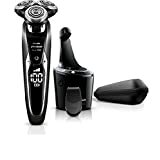 However, by announcing the above mentioned electric razor models as our review leaders we still leave it to your discretion to choose a model which suits you the best. Surely, you may choose among all the reviewed electric shaver models and those that we haven’t mentioned. It’d be highly appreciated if you share your opinion with us in the comments below. What makes these shavers so efficient? Why despite the existence of such advanced product lines as Series 9 and 7 these shavers still remain so popular? Their perfect performance and stylish appearance make and keep them best-selling. These devices are equipped with SensoFoil that has apertures of different diameter due to which they shave both long and short stubble. Another feature of this product line models is a triple shaving system. What is this? Two shaving foils cut sort hairs and the embedded trimmer cuts the long ones. Triple action cutting system – is another unique feature due to which these devices surprise with their efficiency. Three independent floating heads adapt to your face lines, due to which the device cuts hairs of any length. The system consists of two rows of thin blades which surround a stand-alone trimmer. As a result we get more close shave. Another one important peculiarity is a precise shaving mode. It is required to shave accurately an area under your nose or your neck. What do you have to do for this? Just turn off your current mode due to which your shaver head will become thinner and it’ll easily deal with removing stubble in hard-to-get areas. The seventh product line of electric razors is Braun Series 7. It includes all the best from the previous product lines as well as new improved technologies. Due to technical and functional excellence these electric razors need just one passage to shave perfectly where earlier models needed two passages. Due to its remarkable silvery design and innovative technologies Braun 790cc Series 7 has become the best-in-class and leading model of the 7-th series. This device has the most complete shaving foil – “OptiFoil”. Its operational principle is based on asymmetric location of apertures that have different diameter. This allows capturing hairs of different length which makes the shaving process more efficient. «Sonic» is the innovative vibration technology which only the electric razors of the 7th generation have. This technology ensures maximal amount of captured stubble when shaving. Such a result is provided by barely sensible 10000 micro-vibrations generated each second. They maximally enhance the shaving effect. Electric razor 790cc is equipped with a special shaving system that is based upon 3 components, which allow easy capturing of both short and long hairs. 790cc Series 7 electric shaver has a special stand-alone head that floats simultaneously in 4 different directions. Such a design relieves from the necessity of any force applying and reduces skin irritation. Besides the device has three different shaving modes. You can use a standard mode or choose gentle/sensitive shaving mode if you have sensitive skin. As for intensive shaving mode it is good for tough stubble. The device also has a special embedded trimmer «ActiveLift» that just eliminates a possibility of missing hair left somewhere. Its unique design helps to lift up the hair in such hard-to-get areas as neck and chin, it cuts stubble there and this way ensures ideally perfect shaving. 790cc shaver feature is a completely unique system “Clean & Renew” due to which you don’t need any brushes to clean your electric shaver, no more disassembling the shaver, removing its blades and etc. Since technically this electric razor can maintain itself: just put the device into a special Automatic Clean and Charge Station that will automatically charge, clean and get the device ready for the next use. Nevertheless, due to the electric razor waterproof case you can perform all of the above mentioned manually. It’s enough to wash Braun 790cc under running water and it is ready for use again. The 7th generation shavers have more powerful battery than their predecessors. This electric razor can function continuously for 50 minutes, which is enough even for a month of very frequent use. For reference: shavers of the 5th and 3rd series provided only 45 minutes of continuous operation and the 1st series ones – just 30 minutes. This electric razor also has 6 special light indicators that will timely show when the battery needs charging. We have to mention as well that a trimmer in this model just technically does its work – it shaves all unwanted hair on your face. It isn’t meant for those who have a beard since it doesn’t support using any trimmer caps to take care of your beard length. The device has 5847 reviews on Amazon.com! SyncroSonic technology is the main advantage of Braun Series 9. Due to it the shaver defines hair thickness itself while shaving and automatically adjusts its power. The motor provides up to 10 thousand of sonic micro-vibrations and 40 000 cutting movements in one minute. All of these allow shaving even three-day stubble successfully. Braun Series 9 also has HyperLift&Cut trimmer with titanium gold cover can shave even hairs that lay close to the skin. And Direct&Cut trimmer can shave and trim hairs that grow in different directions. At that a special foil - OptiFoil allows cutting hair very close to the skin surface. 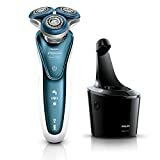 We should also mention 10D system – it has moving elements on the device head, so while shaving Braun Series 9 follows the contours of your face. Braun has thought over high operability of its new electric razor. Therefore, its MultiHeadLock switcher can block the device head in 5 positions due to this you can easily shave stubble on your chin and under the nose. To trim your side-whiskers the device has a special sliding trimmer on it back side. Braun Series 9 in a bath or inn a shower. Of course, it’s possible to use a shaving gel – it’ll ensure more comfortable shaving. This electric razor works almost noiselessly, which surely is a plus, if you get ready for work in the morning when everyone is still asleep. Five stage cleaning and charging system – Clean&Charge is very convenient. It cleans the shaver and kills about 99,9% of bacteria. Pushing the button just once you make the shave knives greased, the battery starts charging and the device is dry. It’s pleasant to hold the shaver in a hand. The device has a very convenient slip-proof insertion on its handle, which is very useful while wet shaving. Another doubtless advantage of this electric shaver is its usability – when you finish shaving you can just wash it inder running water. High building and materials quality. The device head works very smoothly without any sharp movements. It shaves both 3-4 days stubble and short hairs. 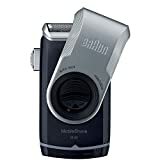 Braun MobileShave M90 is comfortable and portable. It is your ideal assistant in taking care of your body while you are not at home. Due to the device small size and only 2 AA batteries required it seems to be irreplaceable at work, in the car or even during a small vacation. This is a perfect foil electric razor model for travelling since it has self-contained power and up to 60 minutes of continuous work using AA batteries or its own battery. Frankly speaking, M90 doesn’t differ much from Norelco PQ208/40 or Panasonic ES3831k, each of which you can take with you when travelling. The only feature that makes M90 different is the possibility of wet and dry shaving and an additional trimmer that will help you to trim your whiskers or mustache. This device won’t do for thick and long beard, because it’ll get clogged very fast. Therefore if your stubble grows fast and thick, maybe it’s better to consider buying some other model. This shaver gets blocked and you can’t turn it on accidentally. This model has a swinging cap to protect its wide replaceable head with a special flexible foil – SmartFoil. Its unique apertures pattern allows capturing differently directed hairs. This shaver can be easily washed under running water and it doesn’t require plugging in, since it uses AA batteries. It performs continuous operation for 60 min. AA batteries come in the set by default. Panasonic Arc4 ES-LA93-K is a foil electric shaver. It has 4 blades. Its shaving quality can be compared with shaving using common razor. Tests showed that when using this electric shaver to perform quality and close shave it requires 2-3 passes over one and the same spot maximum. Using this electric shaver doesn’t cause any discomfort (such as hairs plucking) even when stubble grows long. Its design is unique due to the fact that the device has two motors, which allows differently directed movement of its blades. All system components are movable and arc-like, which makes the shaving process efficient both on a chin dimple, skin wrinkles etc. Such design of the razor head decreases shaving duration approximately by 30% and sufficiently increases its quality. The device allows dry and wet shaving in a shower using some shaving foam. You can put the shaver under the water completely or use it in a bath – these situations are foreseen by its design. This electric razor weight is just 122 g, which is one of the best values among its rivals. Besides all control buttons are accessible when holding the shaver with one hand. The device has almost all functions that modern electric razor should have. It has an LCD display on its case that shows battery level. Now, to clean the device after your regular shaving it’s enough just to put it in a special cleaning unit. It will automatically clean, disinfect, dry and charge the razor. The disinfecting substance solution not only cleans the device, it also prevents bacterial growth in the solution itself, which allows using it repeatedly. Though we should mention that there is no quick charge mode for the device battery. This mode lets the battery charge in several minutes to perform single shaving. Another Japanese razor, that provides even higher shaving quality than its predecessors. Its design differs from the model mentioned above, since it has 5 heads instead of 4 and Active Shave Sensor is present, but there is only one motor. 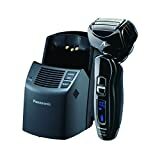 The key difference of this new Panasonic electric shaver from the models made by other companies is its Active Shave Sensor. By defining the stubble thickness this sensor adjusts the motor speed and the shaver blades movement amplitude. Due to this the shaving quality rises, the skin suffers less loads and irritations possibility is eliminated. The revolving head goes close to the skin and follows the contour of the face and neck. ES-LV95 model has an irregular number of blades (5 of them), which is unusual for the majority of devices for personal care. Under inclined angle (30 degrees) of the internal blade such an electric razor ensures smooth shaved skin without any injuries and burn. Another one important feature of the device is its fast linear motor (1400 r.p.m.) which is capable to keep sustained power up to complete battery discharge. The shaver itself can work continuously using its battery up to 45 minutes. The battery needs 1 hour to charge completely. The shaver cleaning unit ensures its sanitariness. The device has additional functions – sliding trimmer to cut the hair. The case has elastomeric material insertions which prevent the shaver sliding out of the hand during wet shave. There is an LCD display that shows service functions and battery level. The fastest motor in the world - 14 000 r.p.m. Cutting blades angle is 30 degrees. Men who have delicate and sensitive skin quite often complain about razor burn and itching they have after shaving. Therefore the whole process becomes a complete torture. So, the company has considered all above mentioned and designed Philips Norelco Shaver 7300. To lessen skin irritation the shaver heads are covered with a unique Comfort rings layer that consists of a large number of micro granules. System of double blades - Super Lift & Cut ensures ideally close and smooth shaving. The first blade lifts up the hairs and the second one gently cuts them at the bottom. Three replaceable heads on a movable shaving unit easily deal with shaving in hard-to-reach areas where even a safety razor fails. The blades are wearproof. Even in case of everyday shaving they stay sharp for a very longtime. Both dry and wet shaving is possible. So, you can shave right in a shower and those who don’t want to get wet can easily use the device for dry shave. There is a portable trimmer in the set, which you can put instead of the unit with rings. This electric razor is just battery-powered. The manufacturer has excluded the possibility of power-line supply for the device since its main function is wet shaving or shaving in a shower. The battery charges fast and it is enough for 50 minutes of continuous work without recharging. The device is absolutely simple in care. It’s quite enough to wash it under running water after using. There is a special display that indicates the battery level and the necessity to replace the blades. A special travelling case comes in a set. This model has been sold by the company for many years already. It is being improved and upgraded from time to time. The device has about 1700 reviews on Amazon.com which speaks for itself. Rotary electric shaver Philips 1150/46 can perform close shave of both dry and wet skin due to the Aquatec system it has. The waterproof case allows wet shaving and using a special foam or gel. We’d recommend using shaving gels and foams if this is your first experience with the rotary electric razor, otherwise serious skin irritations are inevitable. RQ 1150 razor model has an innovative shaving system GyroFlex 2D.Three floating heads of the movable unit allow following your face contours precisely and shaving large surface at shorter time. Due to this the skin suffers less pressure and no burnn is caused. SkinGlide technology ensures smooth and uniform sliding of the shaver because there is almost no friction. The built in trimmer can help you to take care of your beard or whiskers. The device weighs just 340 g – it won’t cause any inconveniences when shaving. This electric razor is battery powered; adapter and cleaning unit come in a set. You can also use quick charge mode (charges the battery in 5 minutes). Continuous operation time of the device is the same as stated in its manual – 40 minutes. When using this rotary razor model it takes 4-5 minutes in average to get rid of light stubble. Philips 9300 shavers are equipped with double blades system: one blade lifts up the hair and the other one cuts it maximally close to its bottom. The device header looks solid but when pressing to skin it becomes flexible and copies contours of your face due to its moving base. Besides each unit with blades inside each replaceable head has its own rotary mechanism that is very helpful for aggressive shaving fans – when you tightly press the blades to the skin to shave fast, bold and cool. Another feature of Philips rotary electric shaver is its V-Track wise shaving system which cuts stubble 30% closer to its bottom than other ordinary electric razors. Check it – it is really so! A precision trimmer with adjustable comb height comes in a set. This is a very useful thing for those who don’t shave all stubble completely and need a beard styler. This trimmer also can be used to shave neck, but you have to be careful not to cut yourself. The shaver has charge level indicators and a button to adjust blades rotation rate. However, the main feature of this electric shaver series and this very model is its cleaning unit. I wouldn’t mind having something like that for my iPhone. The thing is that this cleaning unit not simply charges the shaver, but it also cleans the device and lubricates it. You put a special cartridge with some blue liquid in it into the cleaning unit. You don’t need any water. After putting your shaver inside the unit, it starts cleaning the internal components of the shaving head: washes the blades and lubricates them. What’s good is that the process progress is demonstrated in the real time scale by the indicators located on the cleaning unit. At that either the unit or the shaver makes some zizz sound quietly, but it can’t be heard from the bathroom. According to the shaver manual one cleaning cartridge is enough for 3 month of regular shaver cleaning, but is you do it less often the cartridge may be used for longer time. It can be replaced rather quickly: open the cleaning unit lid and put a new cartridge inside. This electric razor is one of the best according our review. It is the most expensive one. As we’ve already mentioned this is a rotary shaver that can be used both for dry and wet shaving. It comes with a click on trimmer to style your beard and whiskers. A cleaning unit SmartClean PLUS that cleans, lubricates, dries and charges the shaver also comes in a set. All these actions come as a result of one button pushing. This model has three floating shaving heads and the shaving unit itself is floating as well. The shaving heads can move in 8 directions to ensure fast and easy shaving. V-Track Precision technology is implemented in this model: it has specially designed V-shaped first blades circle (each shaving head has two such circles). This shape ensures fast capturing of stubble hairs and cutting them. Lift&Cut Action system (double blades) lifts up hairs to cut them maximally close to the skin surface. Micro-blades system is a self-sharpening one to provide you with the same comfortable and efficient shaving several months later. The shaver has three operation modes: Slow for people with sensitive skin prone to razor bump, Medium for more efficient everyday shaving and Fast – for strong and fast shaving when you are in a hurry, for example. The device easily deals with soft one-day stubble and it doesn’t take long. The shaving quality is good with no skin irritations, though there were some plucked hairs. The result was almost the same when shaving tough one-day stubble – fast, clean shaving, but there may be some skin razor burn. But there is one issue here – a blind zone between the shaving heads of the device – the stubble that gets there doesn’t get cut from the first passage, so you’ll have to get back and pass this spot one more time. This makes your shaving process longer. If you have soft stubble and it’s been three days since the last time you shaved then it’ll take Philips Series 9700 quite a long time to deal with it. If at that you also have sensitive skin (which happens quite often) – skin irritation is very likely to appear. During our tests it was more visible on the neck. There also will be some plucked hairs. In case of shaving three-days thick stubble the process will take not that long (about 4 minutes). When stubble is thick and skin not very gentle, even if there will be some irritation, it won’t last long. So, this shaver will do its job well both in case of soft and thick stubble. And it’s not worth worrying that due to rotary shaving system the shaver will pluck hairs – in the majority of cases such electric razors provide rather delicate shaving. Philips Norelco shaver 9700 has a built in display on its handler and it shows all necessary data, including battery level and the shaving mode. It also has indicator that shows if blades require cleaning and if the shaving heads need replacement as well as indicator of the shaver blocking. One of the device main features is its cleaning station with its SmartClean system. It automatically cleans, lubricates, disinfects, dries and charges the razor. All you need is just to push the button and put the shaver into the unit as it is required – with its shaving heads down. Wow, you’ve decided to get rid of the hair on your head, this will cost you money and time – because you either will have to go to the barbershop once in 3-4 days or to shave the head yourself. As an option you may use a trimmer instead of a shaver, but without any assistance it’s a rather troublesome process as well as its result turns out to be a far cry from a quality shaving – there are too many missing spots with hair left there. After using a shaver you still may feel some discomfort. So, using an electric razor is the only reasonable option in this case. After some time you get used to it, but again – not every electric shaver model will do for head shaving. There are some special electric shavers for this. One of them is Butterfly Pro 5h. It has 5 rotary blades and convenient shape for such shaving. Due to this when shaving you make moves as if you are combing your hair. By the way Butterfly Pro 5h can be used for stubble shaving either. This model can be used both for dry and wet shave. The device is battery powered and can work continuously for 40 minutes without recharging. They have alike operating principle, but in this case the knives don’t rotate, they vibrate from side to side. On top they are covered with a metal foil with lots of apertures through which stubble gets to the knives. This foil excludes the possibility to cut oneself and reduces possible skin razor burn. Such razors easily deal even with three-day stubble, which again is better for sensitive skin. The fist shaver for a teen should be the one from quality foil electric shavers. Their typical drawbacks are loud operation and difficult shaving around neck. Besides owners of some cheap foil electric shavers quite often complain that their stubble hair is cut to dust with the shaver knives and then it settles everywhere. While wet shaving (see detailed description below) the foil may get stuck in shaving foam and smear it around the face instead of shaving. Rotary shavers have several heads made as disks with holes under which there are rotating knives. The advantage of these devices is that they perform completely close shave even in case of the toughest stubbles due to maximum close cutting. Such shavers are good for people with not sensitive skin and tough short stubble. You should still use some moistening after-shave balm. Among rotary shavers there are more models suitable for coarse stubble. Their drawback is that they cause irritations on sensitive skin. 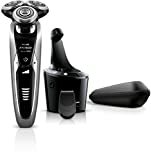 Philips is considered to be the best rotary electric shaver manufacturer. Which electric shaver model to choose? Actually, the first question each man should answer himself before buying an electric razor: if he really needs it. The device advantages sound so promising. When using an electric razor it’s less likely that you cut yourself or get skin irritation. The shaving process itself is not that time consuming. All models of electric shavers without any exception can be used for dry shaving – this ensures comfortable shaving while travelling on a plane, on a train and even in the car, when you are in a traffic jam on your way to work. Any electric shaver costs more than any ordinary razor of the highest quality. However, while you keep using an electric shaver it appears to be more cost effective, since it doesn’t require continuous change of blades and you save money as well because you don’t need to buy any shaving foam or gel. According to some calculations an electric razor pays for itself in a year or 1.5 year while it can serve you for 8-9 years. The majority of electric shavers are equipped with a trimmer and this is quite an advantage, since it ensures more thorough care of your mustache and beard. The main drawback of electric razors is less close shave. Because unlike ordinary razors any electric shaver blades don’t slide smoothly along your cheekbone and chin, they function at some very tiny distance from the skin, therefore they don’t peel upper layer of epidermis together with stubble. Till you get used to this device you may need to go several times over the same spot for more close shave. However, all modern electric razor models provide better performance than older ones and in fact they are almost as efficient as ordinary razors. Another one issue is that even after various testing we still can’t say what type of devices meets the challenges better – rotary shavers with rotating blades like Philips electric shavers, for example, or foil ones with movable blades like the ones produced by Braun. Rotary electric razors are considered to be more suitable for spotty stubble shaving and foil ones are better for people with sensitive skin – though we still haven’t made any firm conclusion in this respect for now. In the long run it all depends on one specific device. But if your stubble grows “wildly” in all directions you still may have troubles when shaving. Electric shavers can be recommended decidedly to people with not very sensitive skin and with thin fair, dark blond and nut-brown hair. Those with coarse dark stubble will have difficulties when using electric shavers and trying to get rid of light stubble effect and remove coarse thick hair. These guys will need the best, top electric razor models that shave as good as ordinary razors. Such a device is good for a first-timer, since when using it there will be no cuts. It doesn’t damage the skin (especially if it is prone to acneiform rash). You don’t need any after shave balms and etc. and the device sufficiently saves your time as well. Any modern electric shaver has rather long lifetime, which means that there’s no need to spend money on new razors or blades for them. As we have already mentioned all electric shavers are divided into two types – foil and rotary ones. Since there are two main shaving systems: foil system (stubble gets cut with the vibrating knives hidden under a metallic foil) and rotary shavers with rotating heads (stubble gets cut with small rotating knives). Modern foil shavers may have one head or two, or even three (and the same number of moving knives) – for more high quality and fast shaving. To see which electric shaver is better you may have to analyze your skin type. Rotary electric shaver will do for man with normal skin type that isn’t prone to irritations. Foil ones are ideal electric razors for man with sensitive skin prone to red rash. Rotary shavers (produced by Philips mainly) deal better with coarse stubble, but their drawback is that they still may cause some skin irritations. Foil shaving system (the most popular devices are made by Braun and Panasonic) causes none even the smallest skin injuries, even while dry shaving. You may have some skin irritation during the first 1-2 weeks at most while your skin is getting used to a new shaving device. After that it will surely pass. It means that from now on you don’t have to spend your money on different shaving gels and foams and all after-shave stuff. It’s convenient. Though using foil electric shavers means more frequent shaving, since they don’t deal well with coarse or long stubble and in general they don’t perform close shave as well as rotary or ordinary razors. What’s the difference? 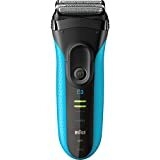 What makes all these electric shaver models differ from each other? Shaving system is of crucial importance if you want to get high quality shaving and no skin irritation. Two types of shaving systems have become the most popular ones: with rotating blades (rotary type) and with moving blades (foil type). Rotary shaving systems are considered to provide more comfortable shaving of short stubble while foil ones can deal better with long stubble. Also some users consider that rotary systems ensure more close shave and foil ones cause less skin injuries. Historically it happened so that major manufacturers “divided” these shaving technologies among them: Panasonic and Braun produce foil electric shavers and Philips – rotary ones. In most cases each shaving head has two blades to make sure that even the shortest hairs are cut in a single pass. Besides some electric razor models can be used for wet shaving with some shaving gel or foam as well. We’d recommend choosing the device which blades have ceramic or titanium coating. If the blades are just made of stainless steel, the skin is very likely to demonstrate some allergic response to this metal. So, it is better not to ignore this fact and select the blades with some coating otherwise you may get skin redness and continuous discomfort when shaving. As for quite a lot of old fashioned electric razors – you have to plug them in to shave. These models are out of date. Even cheap modern devices are sold with an installed battery, though their quality leaves a lot to be desired. The charged battery has to provide about 50 min of the device continuous operation otherwise the shaver will always require recharging. We’d advise to buy the device with internal battery. It’ll work about 20-50 min in one charge and in general it is enough for 1-3 weeks depending on the battery capacity and frequency of use. Doubtless advantage of this choice is a possibility to take the device with you when travelling since there may be no electrical outlet around. Usually it takes the battery about 1-2 hours to charge completely. Keep in mind that some new Philips models don’t let you use the shaver if it is plugged in. So, if the battery is empty you’ll have to wait for some time before your start shaving. The batteries vary in types of storage batteries they have. Three types of them are used in electric shavers: nickel-cadmium (NiCD), nickel-metal hydride (NiMH) and lithium-ion (Li-ion). Until quite recently the latter were thought to be an expensive electric razor feature. However, nowadays the situation on the market has changed so both NiCD and NiMH can be encountered very seldom. The thing is that these batteries have a drawback that is called “memory effect”: if once the battery wasn’t charged completely it “remembers” that a smaller capacity is used and next time it stops working when reaching this battery capacity value. This surely reduces the device offline work duration. To avoid this trouble you’ll have to discharge and charge the battery completely, but still this doesn’t solve the “memory effect” issue once and for all. That’s why manufacturers have almost stopped using these batteries and now the latest generations of electric shavers use Li-ion batteries which have no such drawback. And due to the production progress these batteries have become cheaper. If you are in a hurry you can combine shaving and taking shower. Now a lot of manufacturers offer entirely waterproof electric razors. Since the majority of modern models are equipped with removable or replaceable shaving head which is easy to clean in a shower. It is just washed under the running water without using a special cleaning brush. But please make sure that the device is really made for wet shave in the shower! Some models can stand wet shaving, but they won’t operate under the running water. The vast majority of electric shavers can deal with dry shave which makes them so irreplaceable for trips, when you don’t have a chance to shave as usual using hot water and shaving foam. Despite the fact that after using a safety razor for a long time you may get quite unusual impressions when shaving with an electric one, the skin gets used to it quite fast. Nevertheless, not everyone is ready to give up on wet shaving – since the skin washed with hot water and covered with shaving gel or foam is shaved easier and better and it feels far more comfortable. In case of sensitive skin that becomes irritated after using an electric shaver, the one that combines both dry and wet shaving may be a good choice. Besides wet shaving with an electric razor can be the way to get used to this device and some time later start using dry shaving without any skin issues. This process usually takes from one to four weeks depending on how sensitive the skin is. All you may need after that is some moistening after shave stuff for skin. Lots of electric shaver models have some additional functions for more comfortable use. Also keep in mind that when buying this device you won’t stop spending money on this. Just like in case of a safety razor you’ll have to replace old blades in the electric razor as well. Before buying the device compare the prices for blades and knives for different models. Expensive and advanced models often have automatic cleaning units. After putting the shaver with its head down into a special container filled with cleaning and disinfecting solution, you can go to bad and while you sleep the shaver’s blades will be cleaned, lubricated, disinfected and the shaver will be charged. This cleaning solution has also to be renewed. Cleaning cartridges are sold together with shavers or separately, so you can buy them. So, though this function is very useful it is expensive as well. You’ll have to buy these cleaning cartridges from time to time and it brings expenses. Man with mustache will appreciate an electric shaver with trimmer. It helps styling beard and whiskers. Those who don’t have a beard may also find the trimmer useful. Especially when for some reason your stylish 3-days stubble has turned into 7-days long beard and this is only now when you've decided to have it. Unlike a safety razor an electric one doesn't deal well with soft steamed hair and if you haved cut it a bit with a trimmer in advance you won't get close shave. The trimmer may be designed as a "click on" cap for a shaver of a built-in sliding knive that can be used for styling your beard, whiskers, eyebrows and etc. You can even use your trimer for your private parts shaving, though in this case it's better to buy two different devices - one for body shave and another one for haircuts. If a trimmer comes in an electric razor set, its price gets a bit higher, but still in the majority of cases it is worth it. Expensive electric shaver models have an LCD display to show the battery level or if it is necessary to clean the device, or how much battery charge is left. The display is usually located on the device handler and doesn't interferer the shaving process at all. However, manufacturers always try to go better then their rivals as for the device improvements. That's why each new electric shaver model gets some new additional functionalities. For example, some Philips electric razor models have automatic moistening function. There is a special container with a doze meter in the device case and it allows moistening the skin with some shaving gel or foam right when shaving. Braun designers went further and created completely special electric shaver series - Braun CoolTec with active cooling technology. The full battery is enough for 15 min of this cooling mode operation, which is quite sufficient to complete shaving. According to the manufacturer's idea this mode helps to decrease skin irritation due to the cooling effect that dulls the sensation of discomfort. Shaving process itself always irritates skin. But you can lessen the discomfort by using different helpful technlogies. If you have sensitive skin you have to prepare it properly before shaving. Lots of men say – steam your skin before shaving, wash it with hot water or shave directly when having a warm shower. Using some after shave lotion and moistening creams helps as well. Before you start shaving disinfect your skin with some cologne water. Wait till the skin becomes dry again. It’s not worth doing for those with dry skin since it’ll only become drier and you may get some flaky skin. When using dry shaving mode you’ll get the best result only if the skin isn’t steamed. So, shave first and then have a shower. An electric razor doesn’t slide well along wet skin. The shaver blades can’t cut soft and steamed stubble properly. So try using some non-foaming shaving gels if your electric shaver has wet shaving mode. To ensure maximal contact of the shaver blades and stublle hold the device perpendicularly to the skin. Use your free hand to pull the skin a bit to lift the stubble hairs. In case of foil electric shaver move the device up and down, if it is a ritary one – make circular movements. Don’t push the shaver to your face too hard or shave around one and the same spot for a long time. Such an enthusiasm may only cause skin redness and irritation. Don’t forget to clean the shaving head after each use – with a special brush or just wash the head under the running water. If there is “Washable” sign on the shaver packaging box, then the cleaning process becomes much easier – you just need to wash the shaving head with water. If a Cleaning unit comes in a set – use it. It’ll make your device serve longer. switch on the shaver for 1 min for the lubricant to get on the blades. If it is a foil electric shaver then replace its shaving head once in 1.5 years, and once in 2 years if it is a rotary one.